Situated in the centre of Rowlestown Village fronting Church Road, opposite the National School and adjacent to the Church and community Hall. 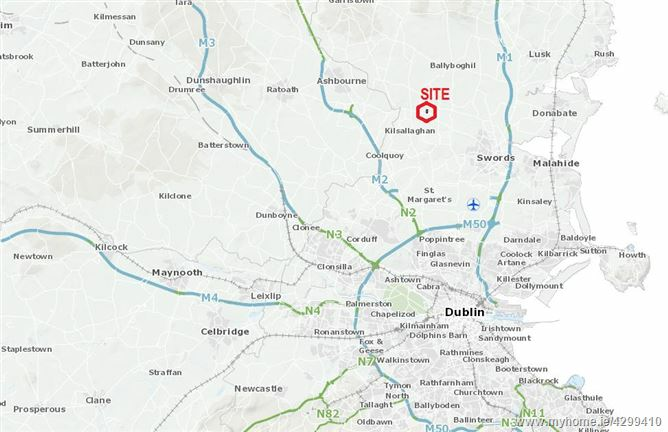 Rowlestown village is located north of Swords town on the R125 Swords to Ashbourne Road within easy commuting distance of Dublin City via the M1, M2 and M50 and close proximity to Dublin Airport and the towns of Swords, Ashbourne and Malahide. Rowlestown is a beautiful village set on the banks of the Broadmeadow River with a host of amenities close by. Swords 7.5 Km, Malahide 12 Km, Ashbourne 13Km, Dublin City Centre 22 Km. 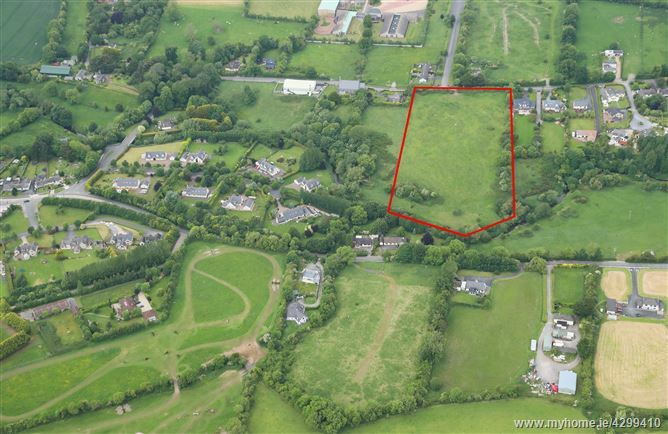 Residential development site c. 6.35 acres/ 2.57 Hectares with extensive road frontage to Church Road in this much sought after area. 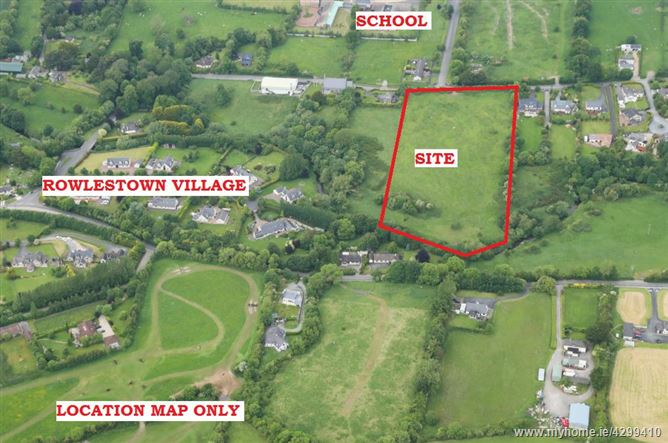 The site is currently zoned RV in the Fingal County Council Development Plan and planning was previously approved in 2007 (now lapsed) for 43 houses, a 60 bedroom nursing home facility, three retail units and two offices planning reference number F05A/1878. 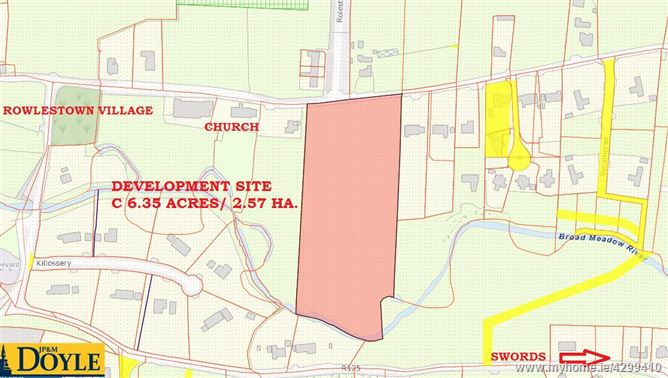 Subsequently Fingal County Council undertook a local area plan for Rowlestown in 2013 and the lands are shown as part of Area 3 in this plan. 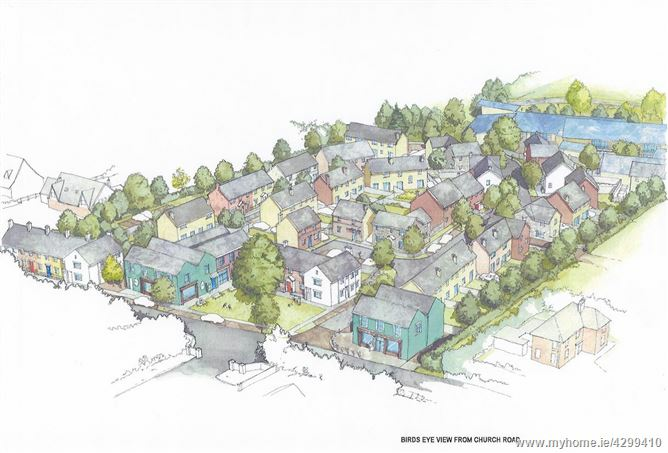 In the local area plan it is proposed that Area 3 could accommodate 22 Residential units and a Nursing Home. With the current pressures on densities in the greater Dublin areas it is possible that this plan will be reviewed upwards.